Testimonials “Thank you for the tremendous effort you have provided to support Sarah to the stage she is today. Without your consistent support for the past three years, we are not sure we would have seen such a fast development in Sarah. We sometimes have to pinch our arms to ensure what we see is actually also taking place. Thank you from the bottom of our hearts.” Rikke, Mother of Sarah Schultz-Thygesen "We feel really confident working with Helen. 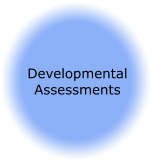 She takes a great deal of time to explain how she evaluates our child's strengths and weaknesses as she is conducting the therapy, and gives very clear and careful guidance for us to follow outside of the sessions. She is gentle and sensitive to our child's responses, yet is able to really get him to push a bit further each time. He seems to enjoy himself most of the time too; as much of the therapy is made to look like play for him, but with an element of challenge to each new exercise. She is encouraging and motivating for both our son and ourselves, and we leave the sessions with a sense of accomplishment and a clear idea as to how we can carry on working with him at home." KookHee, Mother of Lucas Turcotte with Down’s syndrome “Helen is the best in her field bar none. Her timely and astute help for our son was instrumental in helping him to fulfil his potential. She has a very special place in our hearts. Thank you Helen.” Alister Hill, Father of Alan. “Our daughter, Laura, went to see Helen for physiotherapy regularly for approximately 8 years. Helen succeeded in making what could potentially have been tedious exercises for Laura into activities which she regarded as fun – Laura certainly never complained about going to see her! Helen made sure that we never missed a session and always did her best to fit in with Laura’s active schedule – as a busy parent it is easy to find excuses not to go each week but Helen would never let us leave without booking the next appointment! As a result, Laura made good, steady progress throughout the 8 years. 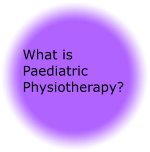 As a paediatric physiotherapist, Helen was acutely aware of the important milestones that Laura needed to achieve – and explained these to us clearly in our native language, English, something which was very important to us living as expats in a foreign country. An added bonus of visiting Helen every week was that we also met parents of other children with difficulties like Laura – some of whom have become friends for life!” Jenny Jeffreys, Mother of Laura “Helen has been taking care of our daughter for 3 years already, and she has shown a real professionalism and enthusiasm in every session. She makes home visits and it is a real pleasure for our daughter to see her every week. 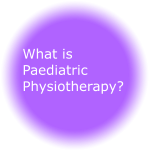 It has been clearly said by the Orthopaedic Surgeon who follows our daughter that the physio sessions done by Helen have had a very positive impact on our daughter’s back condition.” Frederique & Dominique BLANCHARD, Parent of Juliette. 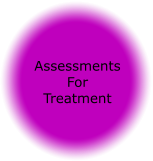 "I worked with Helen for about eight months to correct a scoliosis after having quickly decided that my previous physiotherapist was not good enough. The difference between the two was huge and immediately obvious: Helen had a wide variety of equipment to assist exercises, she measured me regularly so I could see my progress, was extremely personable, professional, patient and encouraging and gave me many exercises I could do by myself at home. I would recommend her to anyone." Helen Marsh, Teenage student “We met Helen for the first time about 14 months ago when we took our 3 month old baby girl for an assessment. As a mum I was dreading the whole aspect of it all, not knowing what to expect and what to be told. It did not take me a long time to realize that it was a total waste of energy and that Helen was the perfect match for us. She is very good at pushing and motivating Liva into reaching the various development milestones while keeping her difficulties in mind. Helen has not only helped Liva but also our family as a whole.” Anne Mette Blicher Frederiksen, Mother of Liva with Hydrocephalus. 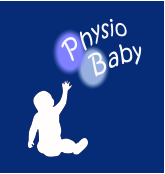 “Helen has been working with my three year old son who has had problems with his leg due to a brain injury. She has been fantastic with him - it's not always easy to get a three year old to do therapy! She has also been great in recommending other treatments for him, and I would highly recommend Helen to parents.” Kathy, Mother of Nathaniel Kitzis.